Algerian Foreign Minister, Abdelkader Messahel, on Friday found no convincing answer to a question on his country’s failed economic policy in Africa, compared to Morocco’s success in the continent, than to accuse Morocco of using drug money to promote its partnership with African countries. In response to this irresponsible and yet very serious accusation by the Algerian Foreign Minister, Morocco recalled its ambassador in Algiers for consultation and summoned the chargé d’affaires of the Algerian embassy in Rabat. The strong-worded statement issued by the Moroccan Foreign Ministry and the moves made immediately after Abdelkader Messahel’s remarks reflect the serious impact such remarks may have on the already strained relations between Rabat and Algiers. 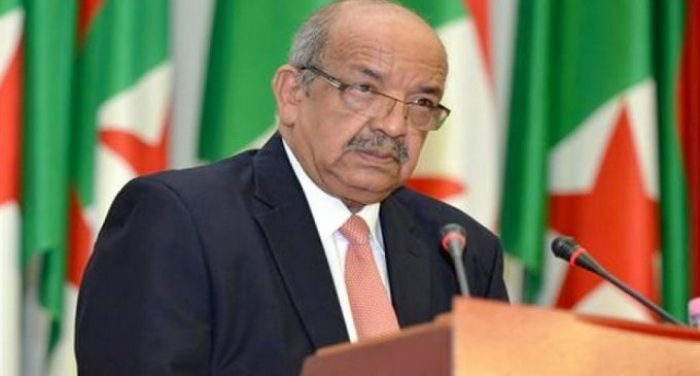 Abdelkader Messahel, who was participating Friday (October 20) in a debate held by the Forum of Algerian Business Leaders (FCE), accused Morocco of “laundering hashish money via its banks in the African continent”! “Morocco actually recycles hashish money via its banks in the continent,” he said, after an Algerian business leader lamented the lack of Algerian banks in African countries to support Algerian investors, unlike Morocco, which has a strong presence in the continent. Irked by the businessman’s scathing, but accurate observation, the Foreign Minister found no better explanation for his country’s bitter failure in the continent apart from his defamation answer against Morocco, an answer that translates the fury of the Algerian establishment exasperated by Morocco’s resounding successes in Africa. The Moroccan African successes are the result of “a vision that is clear, voluntarist and active, having faith in the countries and peoples of Africa and investing in a common future”, as pointed out by the Moroccan Foreign Ministry in its statement. In his blunder, the head of the Algerian diplomacy went as far as claiming that ‘African heads of state” told him about the money laundering. He also accused Morocco’s flag carrier RAM of involvement in drug trafficking. He said RAM, which has been operating in Africa and serving destinations at times Western companies refused to operate flights to Ebola hit countries, was “actually carrying something other than passengers”. The Moroccan Foreign Ministry, besides recalling the Moroccan ambassador for consultation and summoning the chargé d’affaires of the Algerian embassy in Morocco, also referred to “actions that the national economic institutions defamed by the Algerian minister, could take”. Moreover, in addition to its successful economic and political moves in the region, Morocco is scoring successes in the Sahara issue, as it has convinced most of the international community of the viability of the autonomy initiative it proposed as a way to overcome the deadlock in the Algeria-kindled regional conflict and consolidate its territorial unity. These breakthroughs also fuel Algerian officials’ fury as the billions they squandered to encourage separatism and weaken their Moroccan neighbor proved fruitless. In this connection, the Moroccan Foreign Ministry pointed out in its statement that while Morocco condemns the Algerian Foreign Minister’s allegations, which have reached a level of irresponsibility, unprecedented in the history of bilateral relations, it notes that they coincide with the tour in the region of the UN Secretary General’s Personal Envoy for the Sahara, as well as with the preparations for the EU-Africa Summit, scheduled for late November in Abidjan. Abdelkader Messahel’s latest remarks are part of a series of uncorroborated accusations by Algerian officials who are in disarray and who impute the failure of their African policy to their neighbor, Morocco, whose successful south-south cooperation approach with Africa stands in stark contrast to Algeria’s failure. The situation makes it difficult for Algerian officials to explain to their public opinion how Morocco manages, without oil and gas resources, to make inroads in Africa while their country lags behind. Their easy response is to blame Morocco’s success on cannabis and money laundering! Written by: Jaber Ali on October 21, 2017. Posted by Jaber Ali on Oct 21 2017. Filed under Headlines, World News. You can follow any responses to this entry through the RSS 2.0. Both comments and pings are currently closed.